What’s it like to grow up in foster care? YOUTH TRUTH is an inspiring original performance blending poetry, music, storytelling, and visual arts that shares powerful wisdom, emotion and truth. How can caring adults help shape the lives of children who experience foster care in positive ways? Youth Truth is a creative youth development collaboration presented by the Treehouse Foundation and Enchanted Circle Theater. Funded by a YouthReach grant from Massachusetts Cultural Council, Youth Truth is a platform for youth to advocate for themselves and for the community about what foster care is, what it is not, and what it can be. The performance is FREE. We welcome the community, legislators, arts and business leaders, families, youth in care and foster care alumni, and staff of the Department of Children & Families to attend. 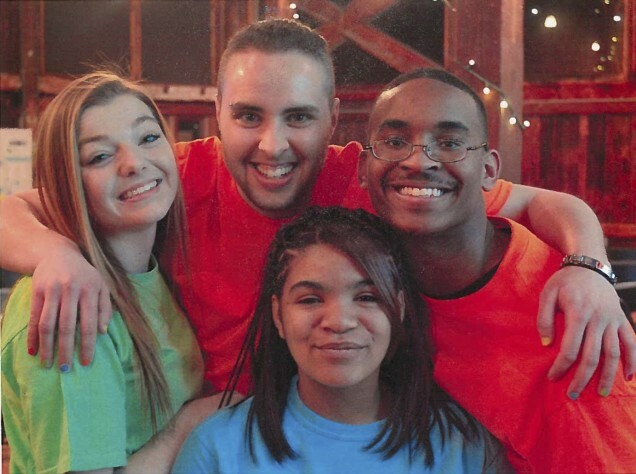 Launched in 2010, HEROES empowers youth to build community and help create a better foster care system. Young people ages 14 – 24 who have experienced foster care build community, develop life skills, support educational and social success, and get exposure to college opportunities. Using the arts and outdoor adventure as tools for growth, HEROES promotes healing, build competence, self-esteem and enhance resilience. Youth Truth has been nominated for a 2017 National Arts and Humanities Youth Program Award.